Shadowrun sequel is being crowdfunded in kickstarter.com right now already past it's goal by 300%. 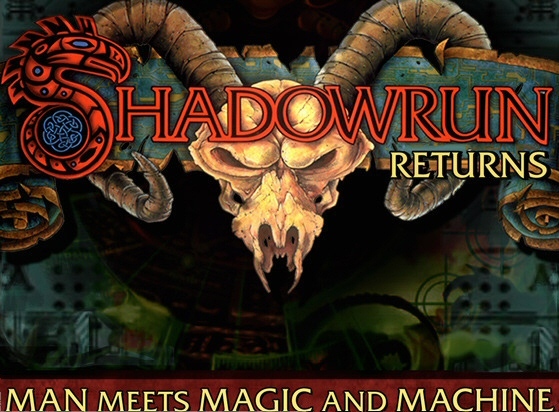 The game is titled as "Shadowrun Returns" - though it necessarily isn't going to be the final title. Wasteland 2 is not only game sequel of a classic game crowdfunded this year - it seems that people have demand for old school games and their sequels made with sticking to their roots instead of turning them into First person shooters like Syndicate. Well actually Shadowrun already came out like that in 2007. But "Shadowrun Returns" will be different case - and it's coming for PC, and for Apple & Android tablets. While Wasteland 2 reached $3 million pledge, Shadowrun Returns doesn't seem to be reaching quite as high amount, but is also doing well. With a promise for game to be made if $400 000 would be reached, Shadowrun Returns has already reached $1.2 million in donations, with 11 days left to go. This means just one thing, Shadowrun sequel will be made - it's already sure thing. The development should start right after "kickstarting" has been wrapped up and finished in 11 days. The game will be incluenced with it's prequel of course, released in early 90's for SNES and Sega (Genesis?) - as well as by the original pen and paper Shadowrun role-playing game known from the 80's. 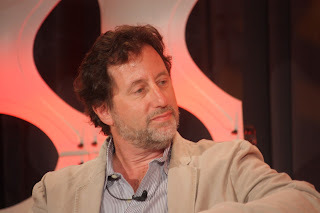 The project is lead by american game designer Jordan Weisman and his team called "Harebrained Schemes" - who promise game to be graphically and storywise rich, old school 2D turn-based single-player rpg with deep tactical combat, including gameworld mixing cyberpunk in style of Blade Runner with urban fantasy, crime and sci-fi. Character creation and extensive dialogue options guaranteed! The team seems quite right making this game seeing Weisman was involved in the original pen and paper Shadowrun, and rest of the team seems to have experience from those kinds of an rpgs too, which can be only a good thing for a serious role playing game. Weisman is founder of Fasa and known from miniature wargames and table-top games such as Battletech, Mechwarrior, Shadowrun, Mech Commander, Mage Knight and so on. This sounds about equally interesting to an old school game freak like myself than Wasteland 2, so looking forward to it! However it may be year or few before Shadowrun sequel sees the daylight. One thing's for sure, way of the crowdfunding looks very promising - at least in a part of big well known names and game franchises. Shadowrun Returns headed by Jordan Weisman himself with Mike Mulvihill !?!?!? It's like a cranial bomb of AWESOME just detonated in my brain!! !